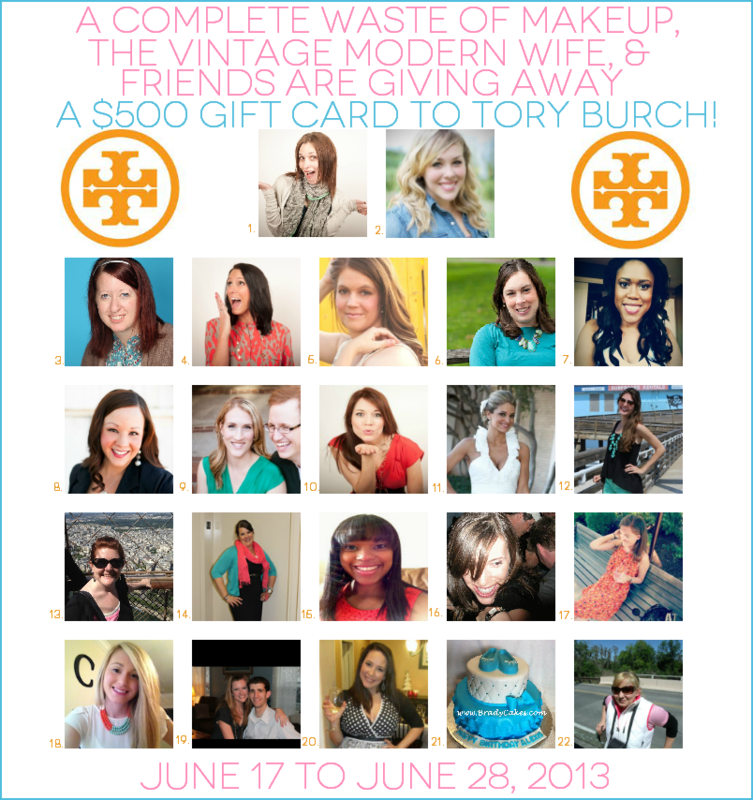 I Love You More Than Carrots: $500 Tory Burch Gift Card Giveaway. Seriously. I can't remember the exact moment I fell head over heels in love with Tory Burch. Oh wait, I can. It would be Valentine's Day of 2011 when The Husband and Carter gifted me with my very first pair of Revas. It was love at first sight. Actually, first blister, if I'm being honest. Those suckers weren't all that comfortable but I would be damned if I didn't own a pair of shoes with that shiny gold emblem on it. If you're a fashion lover, get even more EXCITED because today 22 bloggers have joined together to giveaway $500 to TORY BURCH! We know fashion can get expensive, so we want to help you out! Tory Burch is one of our collective favorites, and we're sure that the winner will agree! Before (or after) you've entered the giveaway, please make sure you stop by the sponsor blogs. You'll love their blogs as much as we do, promise! Good luck and thanks for entering!